For more than a three decades, Kurt Bestor's film scores, television themes, compositions and carols have provided an indelible soundtrack of American life. Bestor was born in Waukesha, Wisconsin, and is a member of The Church of Jesus Christ of Latter-day Saints (sometimes casually called the Mormon Church, or LDS). He came from a musical family&#151;his grandfather played trumpet in many popular mid-western big bands, and a great uncle played trombone in Jack Benny's band. Kurt began playing the piano, and during his practices, his mother would encourage him to compose music to visual images. As he picked up the trumpet, his dream was to compose scores for motion pictures. While enrolled in college, Bestor began writing music for student films, gradually moving onto documentaries and eventually into the feature film score arena. In 1987, he was one of only six recipients of a fellowship at the Sundance Film Institutes Film Composer Lab. There, he studied with master film composers Dave Grusin, Alan Silvestri and David Raksin. Even while Bestor's scoring career flourished, leading to such projects as music for the National Geographic documentary on the sinking of the Andrea Doria, a second large screen film "Sedona," the feature film "The Ghosts of Dicken's Past," and the Warner Brothers film "Scarecrow," he expanded his career to include original recordings and increasingly popular concerts. Perhaps best known for his innovative interpretation of seasonal carols found in his popular 5-CD boxed set "The Complete Kurt Bestor Christmas," the Utah based composer and performer launched his career writing music for television and movies. 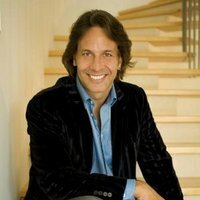 His credits include more than 40 film scores and more than 40 themes for national TV programs and commercials. It is Bestor's music that has introduced NFL Monday Night Football, and National Geographic Explorer; he scored TBS's Wild! Life Adventures and the IMAX film "The Great American West." He also was given the Outstanding Film Score Award at the New York Film and Television Festival for his music for PBS's "A More Perfect Union." Bestor was awarded an Emmy® for his collaboration with Sam Cardon on the original music for ABC's coverage of the 1988 Winter Olympics. He often spends an average of one week out of every month performing, with a full time concert schedule during the Christmas season. Featuring as many as 45 other musicians on stage, Bestor's concerts are major productions, but his warm storytelling and humor create an intimate rapport with his audience. "It's a bit like Garrison Keillor-meets-John Williams," he laughs. The year 2008 marks Bestor's 20th year of sold-out Christmas shows. His most recent project was a classical commission by the Mormon Tabernacle Choir and Orchestra – a piece written for choir, orchestra, children's choirs, and 500 bell ringers commemorating the rededication of the Utah State Capitol. Bestor, his wife Petrina, and their children make their home at the foot of the mountains in Salt Lake City. Kurt Bestor performs his famous song, "Prayer of the Children," with Sam Cardon, Keni Yarbro, and Paul Engemann. This page was last edited on 12 September 2011, at 18:13.